To fulfill the client's needs, we are rendering a technically advanced assortment of Epoxy Floor Screeding Services. These services are rendered under the guidance of relevant domain experts. In addition to this, offered services are highly admired for their accuracy, high client satisfaction, cost-effectiveness, and reliability. 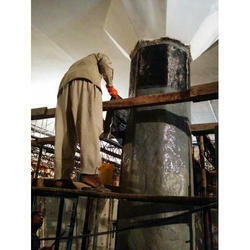 We provide high end solutions for structural strengthening. Namely carbon fiber wrapping. 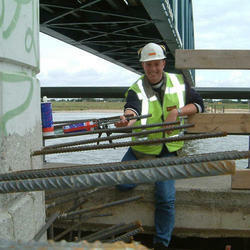 We supply and apply to strenthen weak columns and beams to enhance theire load bearing capacity. 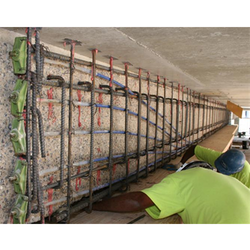 With precise knowledge of the relevant field, we are engaged in offering a wide range of Structural Strengthening Services to our valued patrons. These presented services are executed by our sharp minded and talented team members. Also, our professionals interact with clients and provide this service accordingly. Through regular research and development, we are offering an exclusive collection of Chemical Anchoring to our clients. These services are rendered by knowledgeable professionals. In addition to this, these are offered at industry leading rates to provide optimum customer satisfaction.